1. 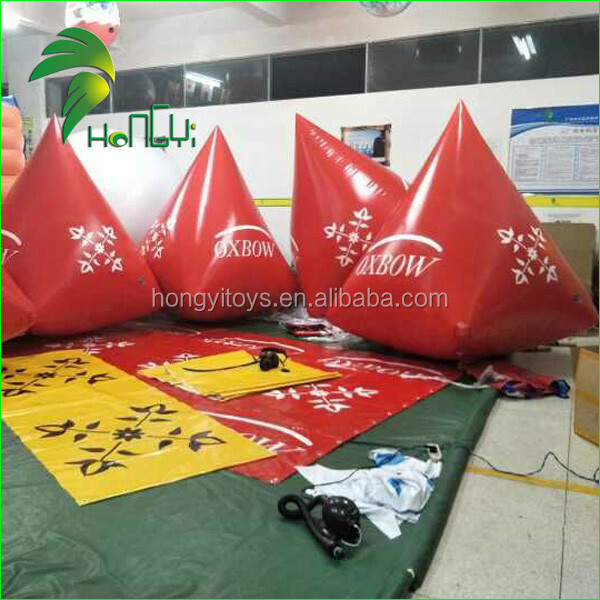 Each inflatable be tested at least 3 days to ensure the quality before shipping. (1). 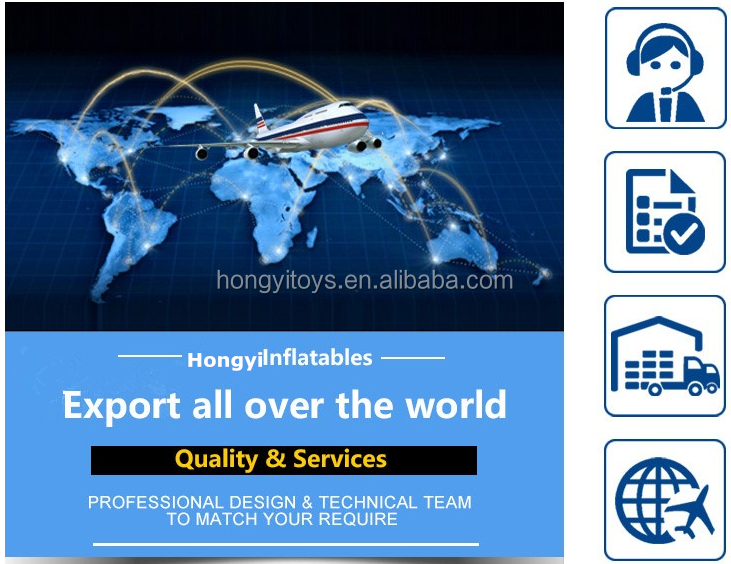 Your inquiry about our product will be replied in 24 hours. (2). 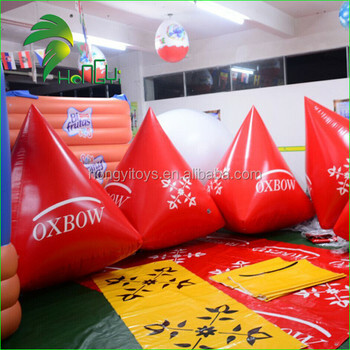 We can manufacture the products according to your own design. (3). Logo can be printed as your requirement; other colors and material are also available upon request. (4). The price will be fluctuant depend on market material price and other cost. (5). 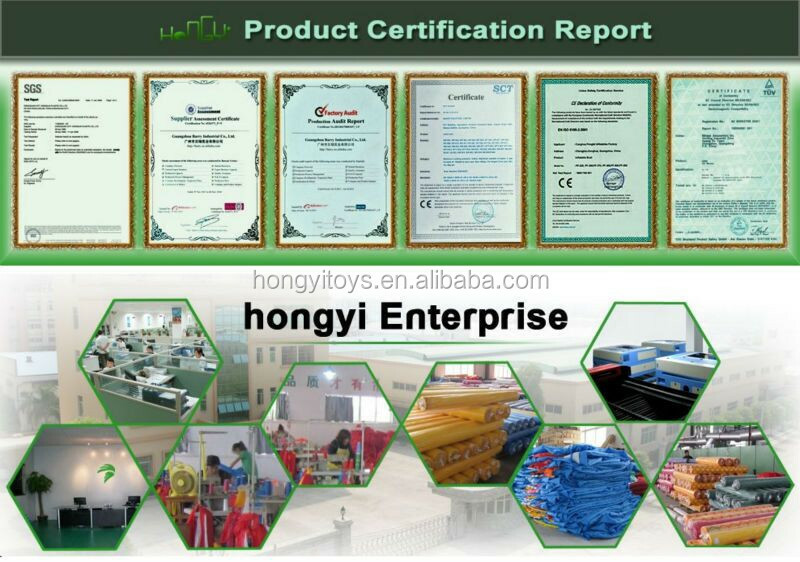 The picture of products will be taken for your confirmation before delivery. (6). Looking forward your inquiry and hoping establish business relationship with you for a long time. Q: What are these Buoys made of? A: durable PVC laminated material, high strength, lead free, weather-resistant, waterproof, fire-retartant, UV protective, 0.4mm or 0.6mm or 0.8mm thickness available. Q: Do you recommend 0.4mm or 0.6mm material? 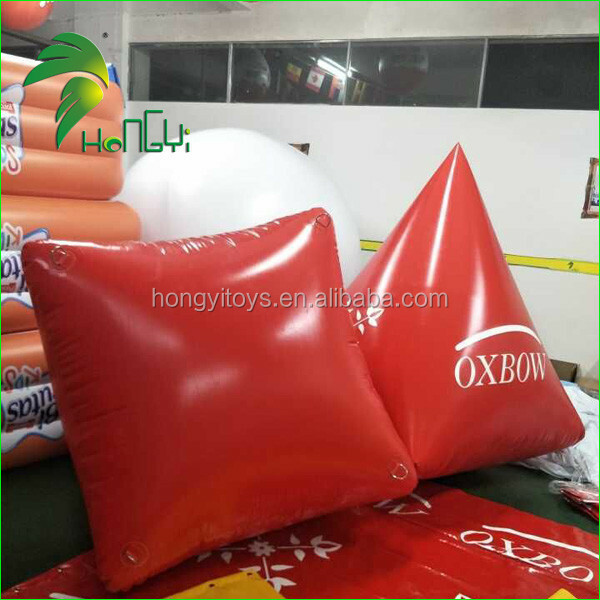 A: Both materials are good, but 0.8mm has better abrasion resistance, tear strength and outstanding high or low temperature performance, it also keeps air better than 0.4mm, especially for big size designs. 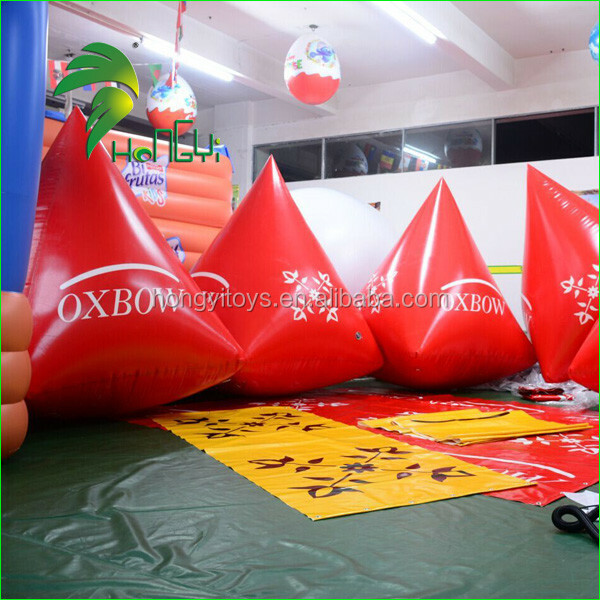 Q: How to inflate an Inflatable Buoys? 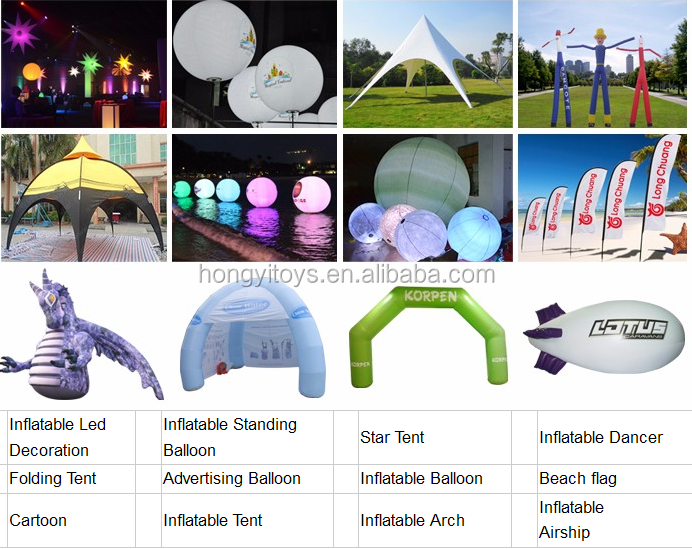 A: Can inflate with air by electric air pumps which are US$30 per each. 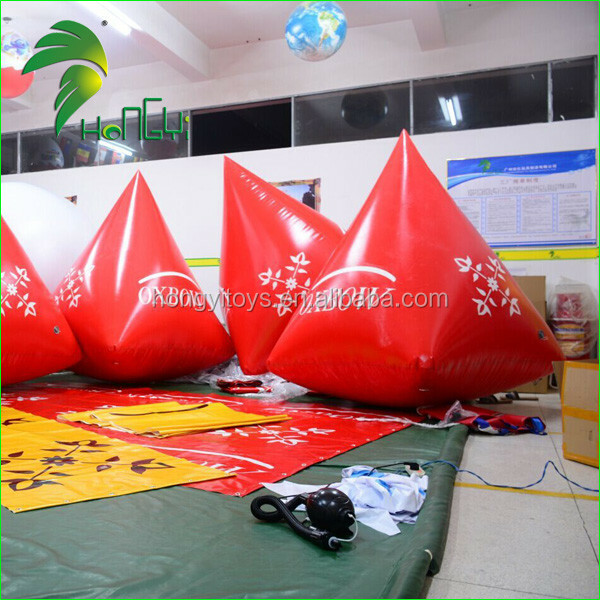 It usually takes minutes to inflate depending on design. A: Yes. 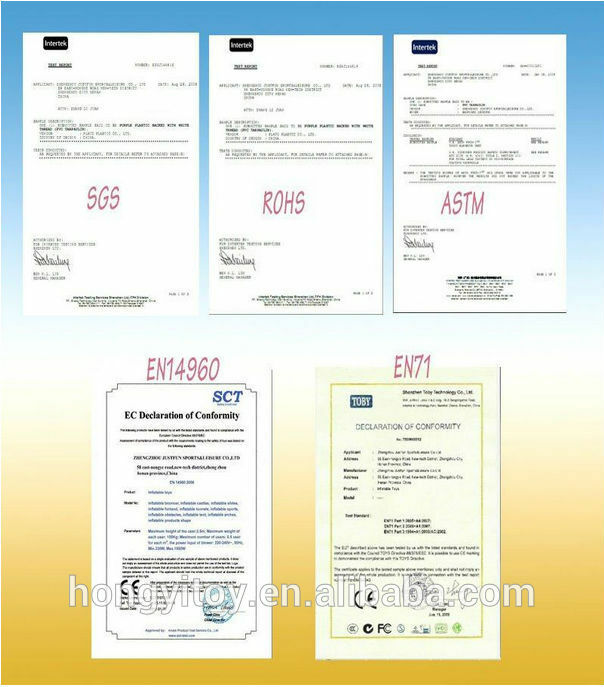 This may be extra charged depending on quantity, printing colour and size (usually from free charge to US$100). You may send us high resolution artwork in JPG, PDF or PSD.